Well, the 1st issue is establishing what Mark meant when he mentioned that 10.6V limit. Because unless he's using a truly massively oversized battery, it will *always* drop below 10.6V during cranking. That's why old Kettering ignition (points & condenser) cars had ballast resistors in series with their points. The points actually run on around 6-8 volts, and resistor gets switched out of the circuit during cranking because of the battery voltage drop due to cranking loads. Dropping down around 10V (sometimes even lower) is fairly common during starting. Look back through the archives for all the complaints about EFISs rebooting while cranking the engine. So....I'm betting that Mark meant he's measuring 10.6V *after* 15 seconds of cranking, but with no/minimal load on the battery. Now, go back to the Corvette/Chevette example. If you accelerate the Corvette for 15 seconds, it'll still have 400 HP, but you may only have 3 seconds of capacity (gas) left. Mark's test is even less valid if one has chosen a Lithium chemistry battery; their voltage has much less decline until it 'falls off the cliff' at full discharge. The real test is monitoring *how long* voltage remains above the voltage that indicates complete discharge (which is around 10.5 V), while the typical load from the plane's required (endurance bus) electronics is applied. Charlie, It seems to me that your response does not address that the test involves monitoring the voltage drop that occurs when the consistent load is applied. The test is not simply, "will the battery spin the prop." The test is, "what is the voltage drop caused by spinning the prop." It seems to me that if the voltage drops down further on a worn out battery than it does on a fresh battery, there is at least the possibility that this test could be quite useful. It does not seem to me that the simple fact the battery "can be down 50% capacity and still reliably crank the engine" is germane to whether or not monitoring voltage under a consistent load (in this case spinning the propeller for a specific time) can be useful as a way to determine whether or not it is time to replace a battery. I'm not saying that the spin-the-prop-and-monitor-voltage test is valid. But it seems to me like it might be. I just can't see where simply noting that a depleted battery can still spin a prop says anything about the usefulness of such a test. Sorry, but I just can't seem to make that connection. Probably I am a little bit dense -- it wouldn't be the first time. In evaluating the suggested test, as a starting point I would like to know if the voltage drop would be significantly different on a new vs a worn out battery. If the answer is no, the drop would be about the same, then case closed. Test invalid. But if it turns out the voltage drop is significantly greater on a worn out battery, then I think there is reason to believe that the test might be useful. If the only use for the battery is starting, then it's a valid test. But if the battery is backup electrical power for the alternator and you need electrical power to keep the flight safe to its conclusion, then it isn't a valid test. It can be down to 50% capacity & still reliably crank the engine. But if the alternator dies and you need the battery to keep the engine running (electronic ignition, glass panel in IFR, etc), then you'd only have half or less the time you thought you'd have, based on the battery's rated capacity. It's the difference between power and energy. 400 HP Corvette with 1/2 gallon of gas, vs 80 HP Chevette with 15 gallons. Charlie, It would seem to me that putting a consistent load (turning the starter, similar temperatures) on the battery, and noting the voltage drop would constitute a valid test. It is surely not the most accurate, but if done in a consistent manner, it is seems it would be much better than doing nothing at all. Also, I don't see how the fact that it only takes 5% of battery capacity to start the engine has any relevance on whether such a rudimentary engine spinning stress test is valid, or not. Are you saying that it is likely that one would note the same voltage drop on a brand new battery as on a battery that is nearing the end of its useful life? Enlighten! 615151073569806401m_-960492680129280463m_6581499881476749600moz-cite-prefix">Since it only takes around 5% of capacity to start the engine, that might not be the most reliable test. Quick load test on a battery is…mags grounded or off and mixture pulled. Crank the engine and monitor the battery voltage. If after 15 seconds the battery voltage does NOT drop below 10.6 volts DC the battery is good. If not charge the battery and test again. I do not know about what sells…..but I have mine load tested at Batteries +. I have two batteries and two alternators. I have one battery that is 10+ years and the other is about 5 now. I had two battery failures….one self induced and the other was infant mortality. How many Pilots out there have a LOAD tester? I can't get owners to check their tires and you want them to load test a battery! Granted! This is a aero-electric email list and many are builders. So, if there are fellows out there that do have a load tester I doubt that would cover the rest of the BUYERS that only purchased the plane and did not build. 'And every year at annual I Load Test the battery." Â With two alternators, why a backup battery? Â Bob . . .
â€‹Because what if the battery fails? Yea, happened to me one night.Â No Fun! cap-check value before the failure? affirmative-action maintenance programs . . .
fail to take their drugs as prescribed. Granted! This is a aero-electric email list and many are builders.� So, if there are fellows out there that do have a load tester I doubt that would cover the rest of the BUYERS that only purchased the plane and did not build. I don't design systems for marketability. of time as when the battery was new. electrical capacity exceeds fuel capacity. with cost, weight and maintenance issues. going to be treated any differently? I followed B&C's parts list, but when they switched it from a generic Ford regulator to the LR3C I didn't realize I should have used the Z-12 architecture for that component. Z-12 doesn't include a fuseable link or crowbar -- should I take those out? The ovm14 can come out, that's built into the LR3. and remotely located field breaker stays in. I put the LV Warn light back in my design for now like the Z-12 has, but I'm sure the G3X has an input for that, so a stand-alone light won't be required. just leave that terminal unused. I'll also have to figure out if I still need the Lo Volt Warn CB in that arrangement. YES! that is your bus voltage sense lead. Bob, thanks for reiterating the difference between a load test and a capacity test. Is there any possibility of gaining insight into a battery's capacity by studying the results of load testing? Granted!Â This is a aero-electric email list and many are builders.Â So, if there are fellows out there that do have a load tester I doubt that would cover the rest of the BUYERS that only purchased the plane and did not build. that drives a light or perhaps a beeper. or a beep whereupon you read the current being delivered. merit for battery's suitability for continued service. idea of how the battery has degraded over time . . .
engine going. But 8ut says NOTHING about capacity . . .
you have established with design goals. thing to VERIFY that the number can be achieved. battery that fails to meet endurance requirements . . .
often and results TRACKED with time. I'm guessing it is roughly proportional. Nope, The starter is the battery load tester. 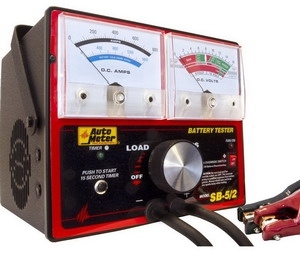 �Continuously measure the voltage while the starter is engaged. If the voltage drops below 10.6 volts while cranking the battery needs to be charged and tested again. 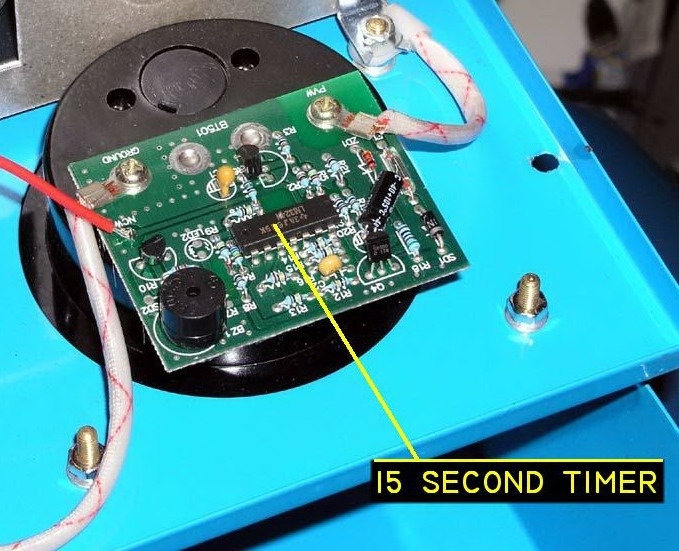 A health battery will return to 12 +volts after opening the starting circuit. Another piece of test gear is a an amp meter with amp shut between the negative terminal and battery post... (which I like better than the amp probe I use with the fluke 87) to test the health of the starter...say the load spikes to 250 amps to overcome the inertial mass of the rotating parts then drops to 125-150 amps...starter tests good. The only other charging system health test is charging voltage... automotive standards were 13.6 to 14.8 VDC...aircraft with solid state voltage regulator is 14.1 volts...I think. Okay, thanks. I've corrected that in the latest version. Just to make sure I'm following -- I'm placing the Alt Fld CB on a bus bar along with three other CBs (Main Bus 2). In this case I don't need the fusible link, correct? I've kept the fusible link between Main Bus 1 (fuses) and Main Bus 2 (CBs) because the distance is about 18". Thanks -- I removed the light and I'll use the G3X annunciator for LV, but I left the terminal 3 feed with the 2A CB. Nope, The starter is the battery load tester. 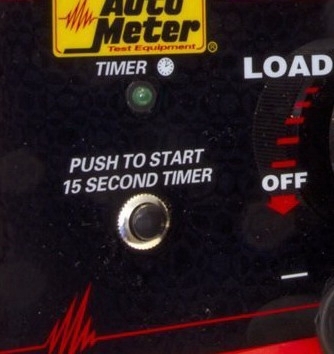 Continuously measure the voltage while the starter is engaged. If the voltage drops below 10.6 volts while cranking the battery needs to be charged and tested again. A health battery will return to 12 +volts after opening the starting circuit. Another piece of test gear is a an amp meter with amp shut between the negative terminal and battery post... (which I like better than the amp probe I use with the fluke 87) to test the health of the starter...say the load spikes to 250 amps to overcome the inertial mass of the rotating parts then drops to 125-150 amps...starter tests good. The only other charging system health test is charging voltage... automotive standards were 13.6 to 14.8 VDC...aircraft with solid state voltage regulator is 14.1 volts...I think. can drive many digital displays nuts. The GMU 11 takes power directly from the bus through a 2 amp breaker. Maybe you were thinking of the GMU 22 which is powered through the GSU 25.